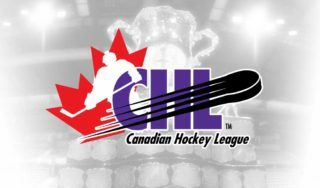 The road to the J. Ross Robertson Cup begins Friday for the Windsor Spitfires and London Knights as the two squads open their quarter-final series in the Forest City live on Sportsnet 360 at 7:30pm ET/4:30pm PT. The Knights enter Game 1 as the OHL’s Western Conference champion, while also coming off a victory over the Saginaw Spirit that saw the team close out the regular season with a 46-15-6-1 showing. 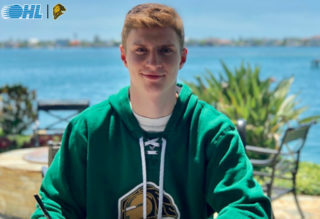 The Knights now look to continue their winning ways against the Spitfires after taking five of six contests during 2018-19, including a 7-0 blowout in late January that saw Columbus Blue Jackets prospect Liam Foudy lead the way with one goal and three assists. 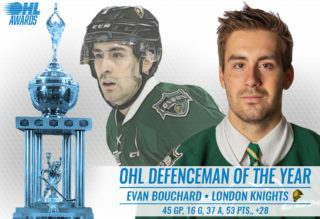 Alongside Foudy, other key cogs for the Knights include 2019 NHL Draft hopeful Connor McMichael, captain Evan Bouchard, who was selected by the Edmonton Oilers in the first round of last year’s NHL draft, as well as trade acquisition Kevin Hancock, who stands atop the team with 105 points. Together, the group forms one of the OHL’s most lethal offensive units as the Knights rank third league-wide with 299 goals. Meanwhile, the tandem of Joseph Raaymakers and Jordan Kooy has shut things down between the pipes, helping London earn one of the OHL’s top goals against figures. For Windsor, the team will look to bring the pace it had to end the regular season as the Spitfires closed out the year going unbeaten in regulation in their final three games. 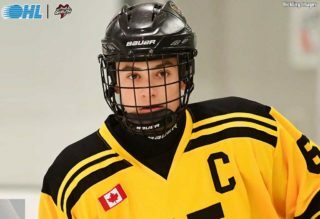 The Spitfires offer up a balanced scoring attack with six forwards who scored between 40 and 55 points, meaning there is no shift off for the opposition. 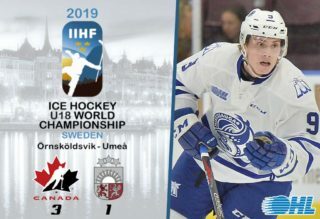 At the head of the pack is 19-year-old forward Cole Purboo, who finished 2018-19 with career highs in goals (29) and points (55). On Friday, the Spitfires will look to turn back the clock to earlier this season when they shut out the Knights by a 2-0 score in which Purboo and hulking centre Curtis Douglas provided the offense en route to victory. 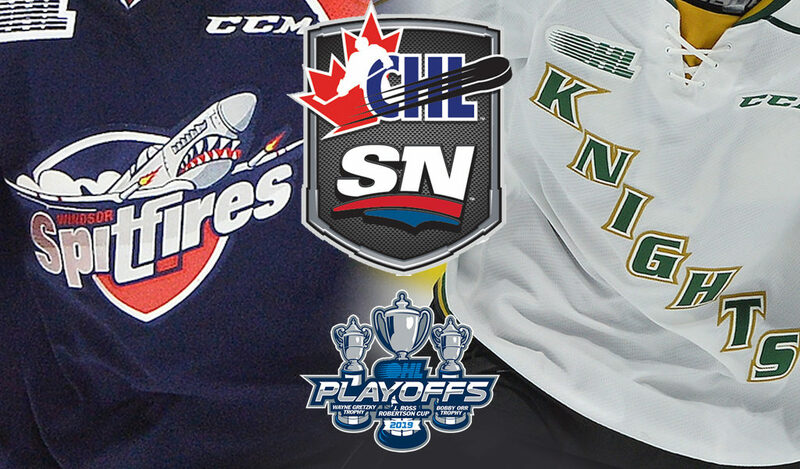 Catch all the action in Game 1 between the Spitfires and Knights on Friday at 7:30pm ET/4:30pm PT on Sportsnet 360.